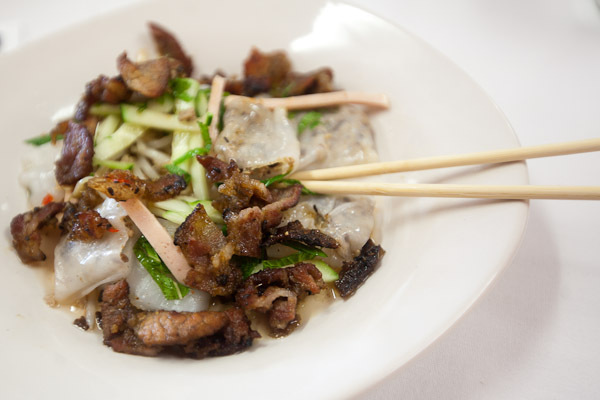 Sometimes, you just need some Asian food — there's nothing like the flavor combinations and the range of specialty ingredients. 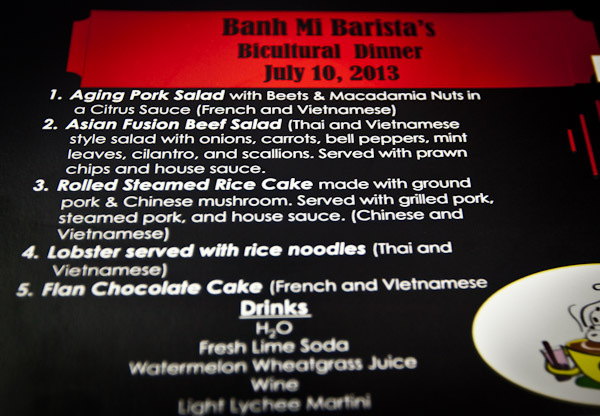 In this instance, a special bicultural event hosted by Bahn Mi Barista served up a five-course feast of delicious delicacies. To find out which of your friends have been here already, check their Facebook page, where they also post alerts for future events. If you haven't been there yet, you should go. 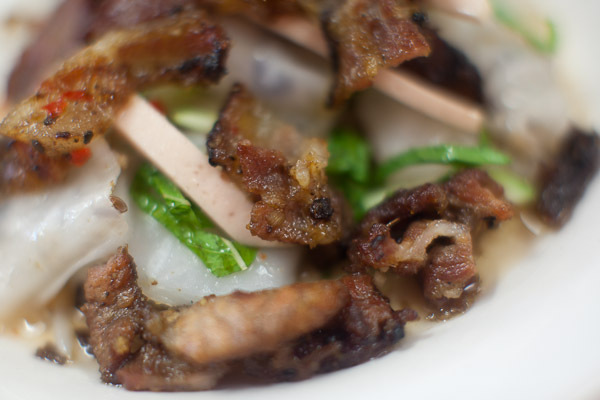 Banh Mi Barista is a local family owned cafe, which specializes in Vietnamese deli sandwiches (banh mi), coffee, and bubble teas. 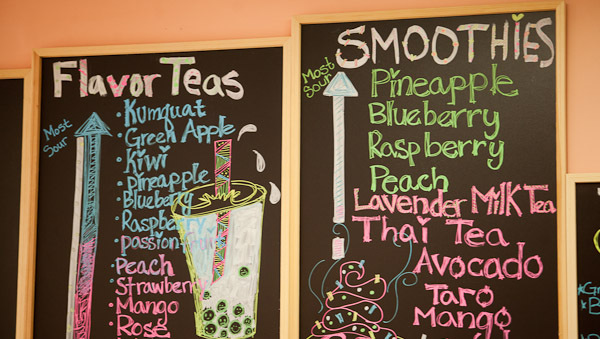 Best bubble teas in town. 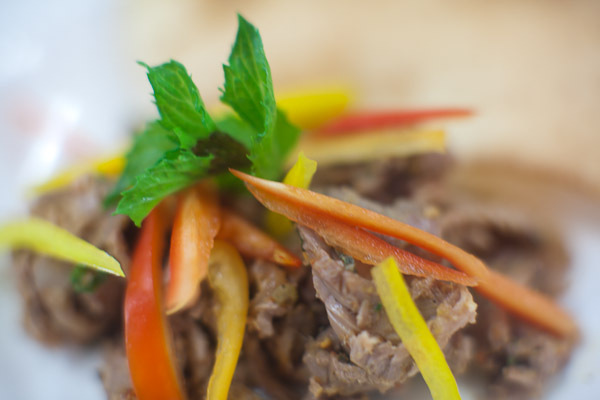 Asian Fusion Beef Salad (Thai and Vietnamese style salad with onions, carrots, bell peppers, min leaves, cilantro, and scallions. Served with prawn chips and house sauce.